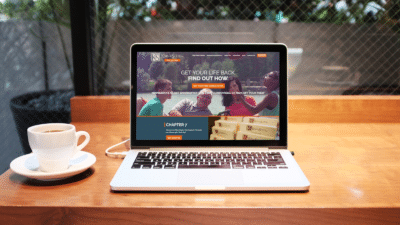 Create branding that attracts clients and displays your firm’s strength and trustworthiness. In today’s legal marketplace, increasing competition and the commoditization of legal services has put more pressure on attorneys and law firms to s..
Unsure if your logo is helping your firm stand out? Learn what makes a good logo and common branding mistakes in this infographic. 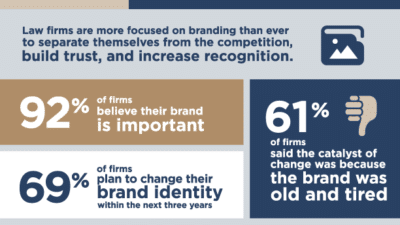 Quality branding is no longer optional for law firms and lawyers. 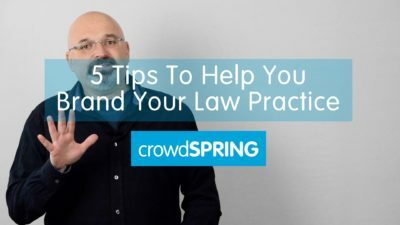 This short video offers five tips to help you brand your law firm or practice. There’s more pressure than ever on attorneys and law firms to stand out from the crowd. Consider these ten important things to get a great logo design for your firm.